The idea for warang wayan originated when I, who love traveling around Asia, and Masami Ishida, who loves traveling to Africa, met by chance at a shop called 『SAVOIR VIVRE』in our mid twenties. Our working together at that shop was the basis for warang wayan Even though we are now far apart, we are surprisingly attracted to and select the same products. 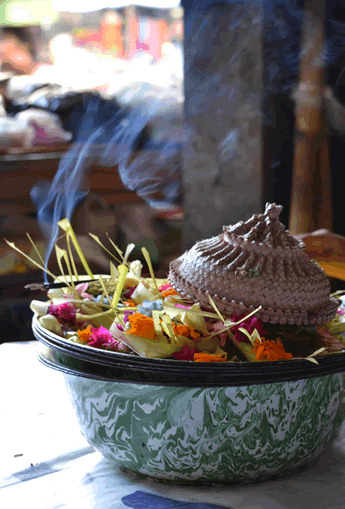 After that, with only the idea of wanting to do something we enjoyed as a job, and not knowing anything about the business side, we started Warangwayan in 2000. "Warang" comes from the name of a village in Africa. 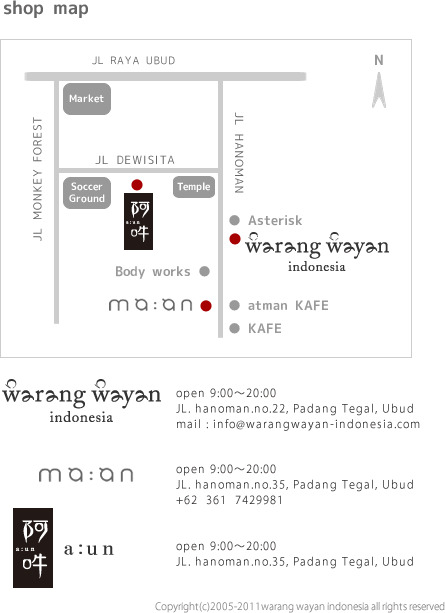 "Wayan", perhaps needless to say, comes from my husband's name. While one of us lives in Morocco and the other in Indonesia, we use our instincts to select our products, taking into account the degree of workmanship and the culture of each country. We would be very happy if you could get the feeling from our website of traveling between the two countries of Morocco and Indonesia.